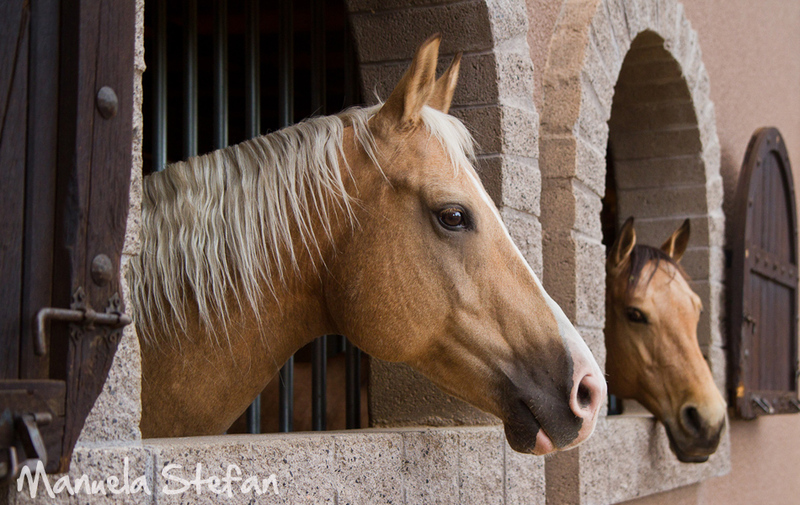 My recent trip to Arizona would have not been the same without an absolutely dreamy encounter with some local horses. While in Scottsdale I discovered a ranch with quite unique architecture, displaying intricate elements of Arabic inspiration. Quite impressive! 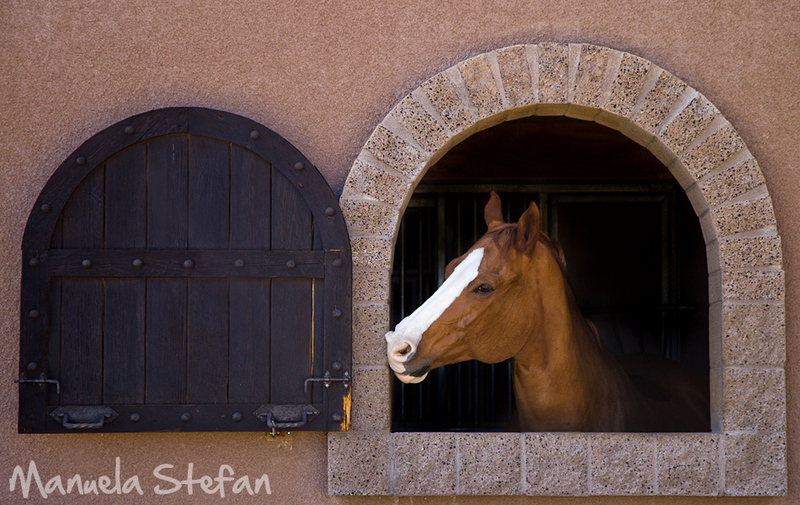 They allow visitors so spending time admiring the horses they keep there was effortless.I still recall the peaceful, hot Friday afternoon. 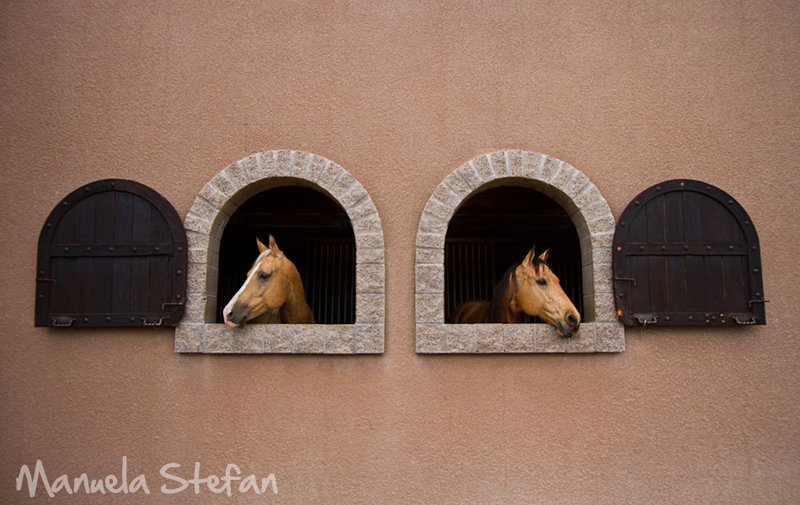 The horses were all inside and it seemed that I may have missed the morning bath ritual some were going through. 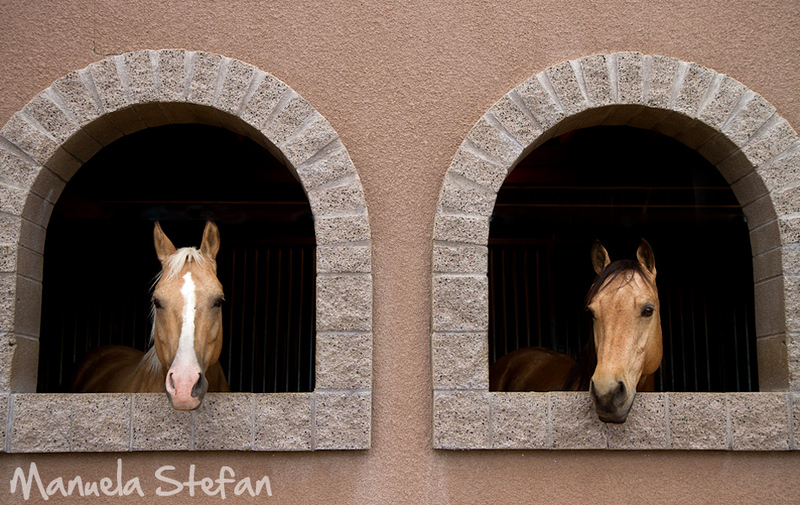 I recall being a bit disappointed and thinking I may leave without the chance of capturing anything…Just when I was getting ready to drive away I saw them…two beautiful animals sticking their majestic heads through the rounded windows…and so “The Window Series” came to life. I am grateful. 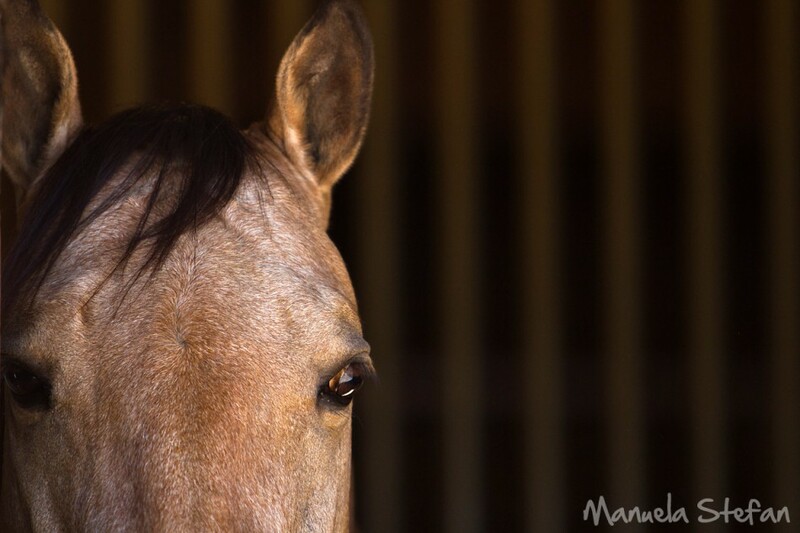 Beautiful pictures of beautiful horses..